Here are some of the most common Spice Enthusiast FAQ's. If you don't find your answer here in our frequently asked questions section, feel free to contact us for more information. All of the spices, seasonings, blends and ingredients on our website are already discounted to wholesale, bulk pricing. Many of our products are non-GMO but some are not. Each product is specifically labeled on our website with all qualities. Spice Enthusiast products described as gluten free on this website are inherently gluten free. However, no added measures are taken, and no additional testing is performed to ensure gluten levels are below 20ppm. Please note that packaged products will not be labeled as gluten free. Spice Enthusiast only ships to addresses within the United States including Hawaii, Alaska and the US Virgin Islands. We are unable to make exceptions to ship overseas. Spice Enthusiast offers FREE First-Class or Priority Shipping on all orders. No minimums. En route to you within 24 hours! Spice Enthusiast is unable to accept returns or exchanges on food products because they are perishable items. Our products are packaged fresh at the time of your order in premium Kraft packaging. For this reason, returns can't be placed back into inventory. 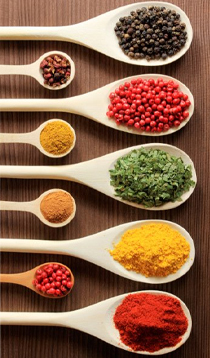 All of our spices, herbs, blends and ingredients are of the highest quality and we stand by our products. If you have an issue with a product please contact us within 20 days of your order and we will provide a replacement. If you received the wrong product or a shipment was damaged, please contact us within 24 hours of delivery and we will provide a replacement. We will request images of damaged product. Our professional quality assurance staff spends countless hours ensuring that only the highest quality products are brought into Spice Enthusiast. We visually inspect products arriving at our facility and we enforce a strict specification program to assure that quality remains the same, time after time, ensuring Good Manufacturing Practices (GMP).